Buying genuine original lithographs and vintage posters by some of the world's greatest artists on the internet can be tricky. Even experts may be trapped by some of the pitfalls. Whether you intend to buy a valuable piece of art on an auction platform, or elsewhere on the internet, you need to be able to rely on the information that is provided. Transparency & comprehensive information, therefore, are essential to protect you from making a bad purchase. 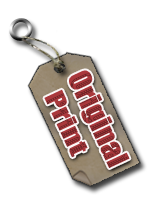 Here are some useful tips if you are looking for original limited edition prints on the internet. Read "Buying Art on the Internet", including a checklist with 'The most common tricks that can be used to deceive you".